Honey mead serves as mankind's oldest alcoholic beverage, pre-dating beer and wine by several thousand years. It's discovery may have occurred quite naturally as Neolithic gatherers stumbled upon honey from a beehive openly fermenting in the wild. Mead's popularity continued into the Middle Ages where it's referenced in Beowulf and by William Shakespeare. Far and wide, mead's popularity spread, from 'hydromel' in France to 'myod' in Russia to 'tej' in Ethiopia. In many realms, some considered mead an aphrodisiac that increased virility and fertility. In Celtic cultures, for example, mead was offered as a wedding gift to be consumed by the bride and groom for one full moon (a month) to aid in conceiving a child. The word 'honeymoon' is derived from this tradition. Much speculation exists regarding the decline of mead's popularity. 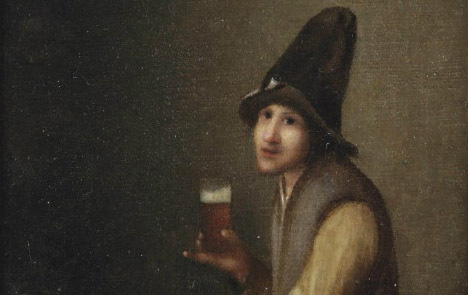 One theory states that in the early 1400s brewers across Europe began adding hops to their beers. This simple recipe alteration reduced the risk of contamination during the production process and dramatically increased its shelf life. This made beer far more economical to produce, transport, and store. Additionally, demand increased for grains (such as barley and wheat) and fruits (such as grapes) for everyday staple foods as populations grew. This along with continual improvements in agricultural production made the core ingredients used for beer and wine far more available and affordable than honey for mead. Mead's final death knell may have occurred as knowledge of distillation for alcoholic spirits traveled along the Silk Road from China in the 11th century. In 1500, German alchemist Hieronymus Braunschweig published Liber de arte destillandi (The Book of the Art of Distillation) the first book solely dedicated to the subject of distillation. Distillation introduced more exotic hard liquors to Europe such as brandy, rum, and vodka and relegated mead to near obscurity. Despite mead's dramatic decline, it continued to flourish in Central and East Africa and parts of Central Europe (particularly Poland). In the United States, mead never reached any level of popularity. Today it's only found at Renaissance festivals and on the back shelf of some wine stores. Honey Grail seeks to reintroduce mead to the American public by adapting it to modern palettes. Our meads are neither excessively sweet nor overly priced. Additionally, we have developed a means of stably creating a naturally carbonated sparkling semi-sweet mead.